Product prices and availability are accurate as of 2019-04-19 20:08:01 UTC and are subject to change. Any price and availability information displayed on http://www.amazon.com/ at the time of purchase will apply to the purchase of this product. 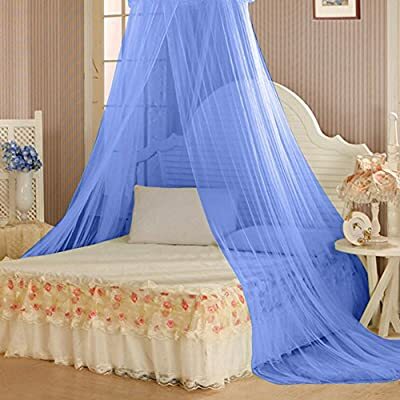 Type: Mosquito Net Material: Polyester + Steel Wire Size: 60cm x 280cm x 850cm/23.62" x 110.24" x 334.65" (Approx.) Round Canopy Diameter: 60cm/23.62" (Approx.) Notes: Due to the light and screen setting difference, the item's color may be slightly different from the pictures. Please allow slight dimension difference due to different manual measurement.